However a few weeks back I got very excited to see my friend Lydia wearing a pair of pretty brogues with lace sections and I was even more excited when she said they came from asda! So I got myself to asda and found a lovely dainty pair in a very wearable light tan brown with pretty little diamond cut out patterns up the sides and only a slight heel instead of a big clompy one. 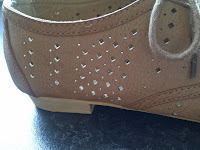 They were very lightweight too so fitted my small feet really well. Plus they were a total bargain at only £14, so I would defiantly recommend you look in asda if you're strapped for cash and need a quick shoe fix! 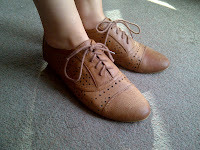 Now I love to wear them to make girly outfits more edgy and to make dressy outfits more casual. 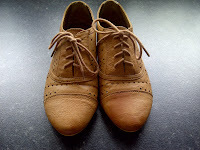 I've also started to lust after high heeled and different coloured brogues, as well as the new brogue boots coming into fashion this winter, although I do think more adventurous styles require careful outfit selection. For example, I think Pixie Lott manages to bravely pull off her clashing pink brogues and orange shorts combo by keeping her top black and simple, whereas I think Whitney Port's black and white brogues look too masculine when teamed with her ill fitting outfit. What do you think? 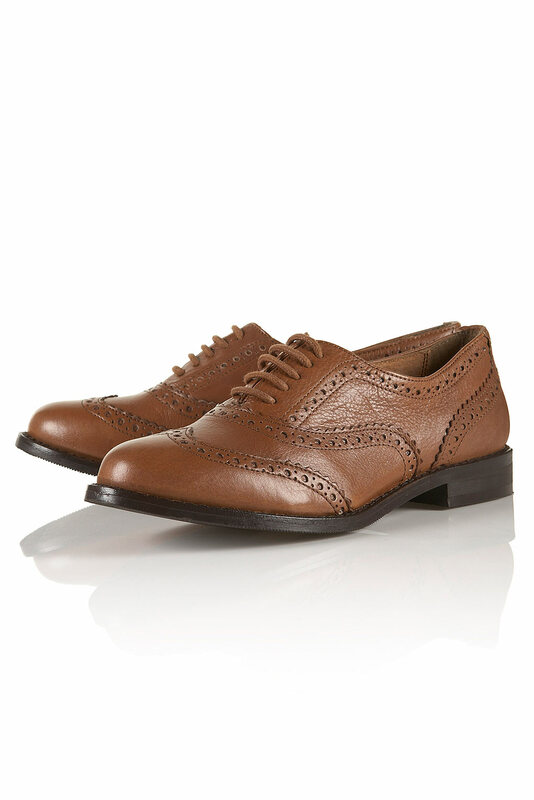 Have you found your pair of perfect brogues or any bargain supermarket shoes? How do you like to style them?